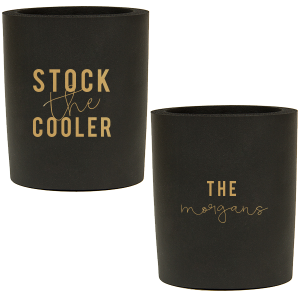 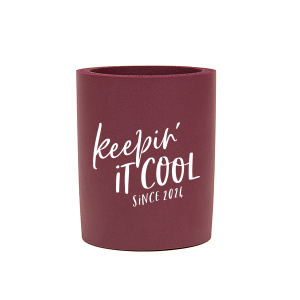 Provide a party favor AND a way for drinks to stay ice cold during your party with personalized round can coolers from For Your Party. 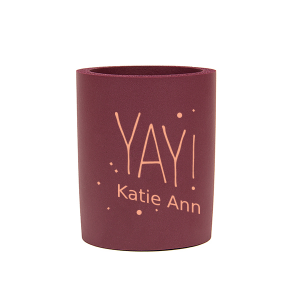 Available in an array of vibrant colors, your customized koozies are sure to be a hit! 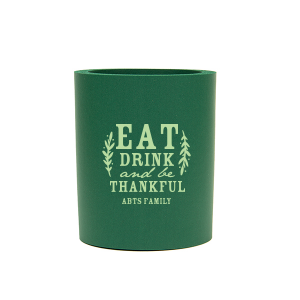 Whether you're using for soda or as beer koozies, your personal touch is sure to add a festive note. 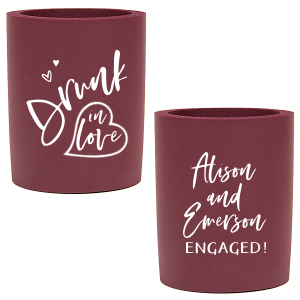 Check out our design idea galleries; we have designs for custom round koozies that go with all kinds of parties and events. 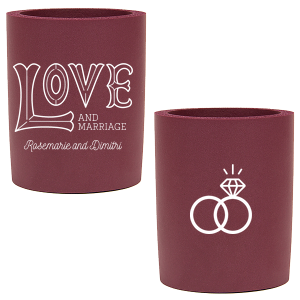 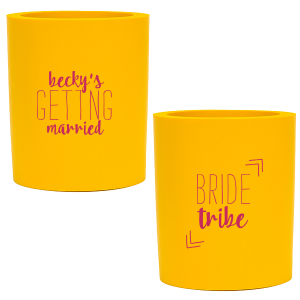 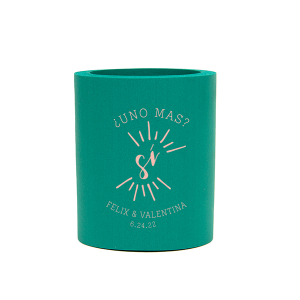 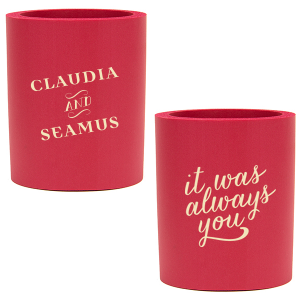 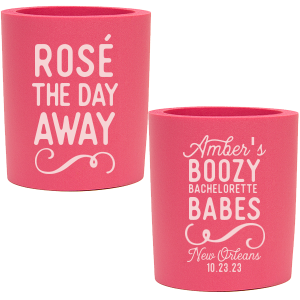 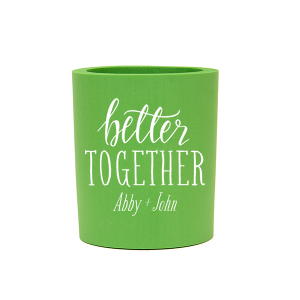 Your customized koozies are the perfect party supply for your bachelor/bachelorette parties, outdoor weddings and receptions and graduation celebrations. 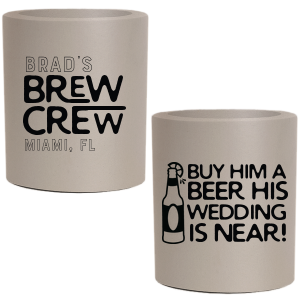 Guests will love adding your custom designed round can coolers to their stash of beer koozies. 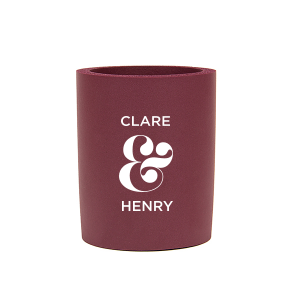 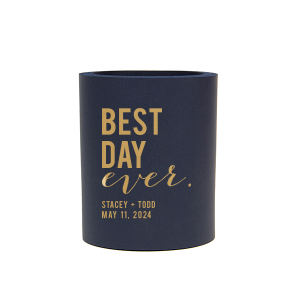 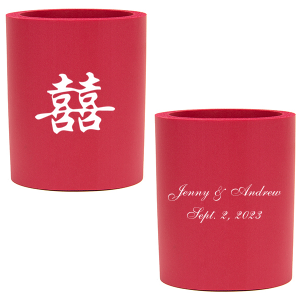 They’ll fondly remember your celebration as they use koozies personalized with your special design in the years to come. 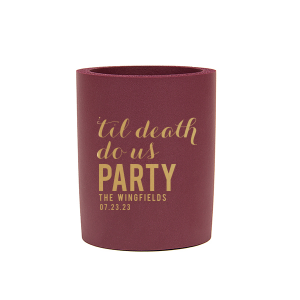 Design your customized round koozies today and let the celebration begin!